Thomas Cook and TUI are losing market share to newer entrants, according to research by financial giant Morgan Stanley. Its fourth annual survey of UK holidaymakers, taken during the new year booking period, found Thomas Cook still has the highest market share, but it has dropped 'significantly' since last year. 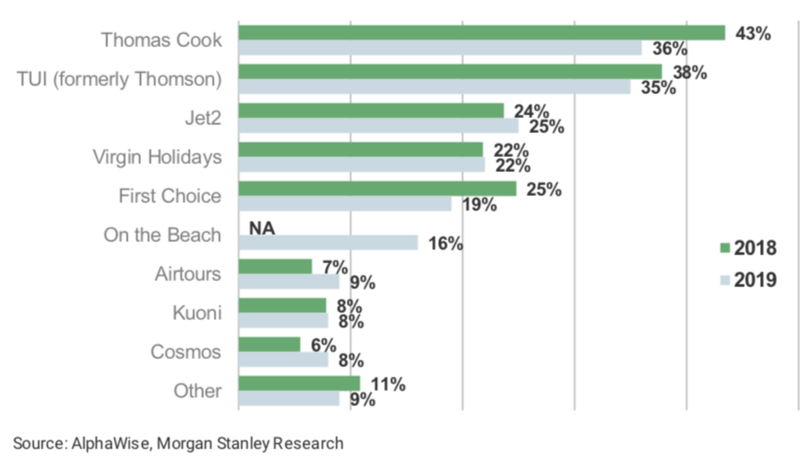 Morgan Stanley said 36% of its survey respondents said they have or were likely to book with Thomas Cook, compared to 43% from last year. For TUI, 35% said they have or were likely to book with TUI, compared to 38% from last year. "This is the first drop for both companies in four years, and is likely due to newer entrants (On the Beach, Jet2), and slower capacity growth than the competition," said Morgan Stanley's report. "Including subsidiary brands, TUI and First Choice combined have lost more market share (54% vs. 63% last year) than Thomas Cook and Airtours (45% vs. 50% last year)." Meanwhile, On the Beach has made big gains, with 16% respondents either booking or looking to book with the company. Looking at the health of the sector as a whole, Morgan Stanley said its survey findings were surprisingly positive. It found 73% of respondents intend to travel abroad in the next 12 months, up from the 68% in last year's survey. Of these, 61% expect to take a package, slightly more than the 59% last year. Only 2% of respondents mention Brexit as the main reason for not holidaying overseas. 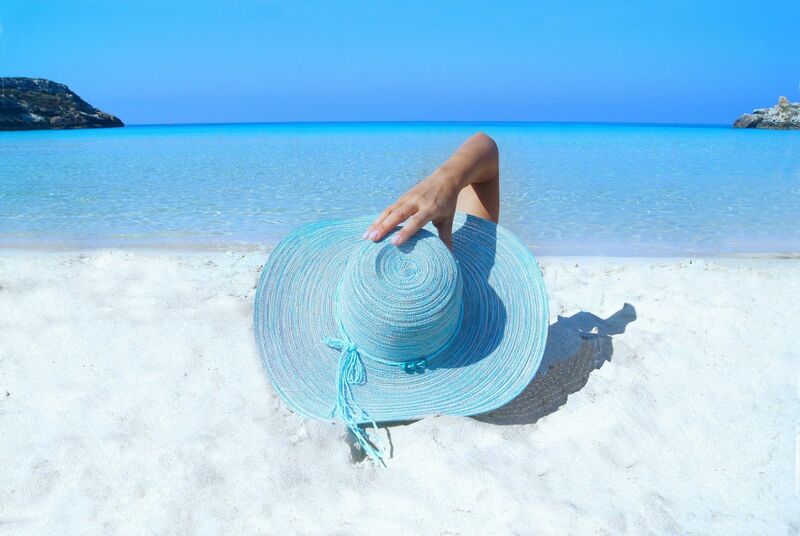 "The traditional package holiday seems remarkably resilient given economic/political uncertainty, competition, and last year's heatwave, which could prompt later booking and/or more staycations," said the report. "Respondents cite the benefit of a package's ATOL consumer protection and all-inclusive nature. Contrary to popular belief, younger people are more likely to take a package holiday than older people. The main survey negative is that Thomas Cook and TUI seem to be losing market share, with Jet2 and On The Beach gaining." But it said recent data looks less supportive. "Our channel checks suggest January, the peak booking period for the key summer season, has been soft in both the UK and Germany. "UK booking volumes fell 3% in the first week of the month, according to GFK, with anecdotal evidence of heightened promotional activity, though the summer season is still up 5% in terms of cumulative bookings."